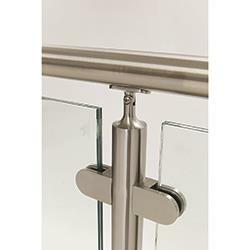 Wagner’s Legato™ Railing Collection combines simplicity with style. It’s an easy-to-install, durable line that comes in a range of high-quality, attractive design options to customize your look. The mechanically assembled, non-weld, modular railing system allows for a faster, simpler installation without any special training required.